Having over 40 years combined experience in the calibration industry, we are more than confident in our ability to provide you with the Optimal Calibration. Having over 40 years combined experience in the calibration industry, we are more than confident in our ability to provide you with the Optimal Calibration. 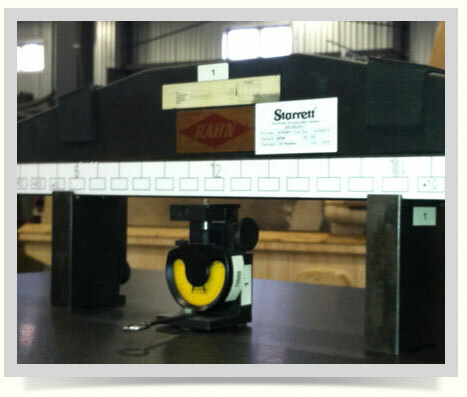 With your granite surface plate (granite block, granite table) being the foundation of all accurate measurements, Optimal Calibration has the ability to achieve extremely tight tolerances to ensure that your are getting the most precise measurements possible. For each calibration, customers will receive a certificate with a specified “as-found” and “left-as” condition, as well as a calibration sticker for each surface plate. All instruments used by Optimal Calibration technicians are certified and traceable to the National Institute of Standards and Technology (N.I.S.T). All calibrations are guaranteed to meet or exceed the Federal Specifications GGG-P-463c.